Health officials have found the black mold Exserohilium in unopened vials of injection drugs made by a Massachusetts pharmacy and implicated in an outbreak of fungal meningitis that has killed more than 20 people. The toll of a growing outbreak of fungal meningitis continued to rise Friday, with 21 deaths and 271 confirmed infections in 16 states linked to contaminated steroid shots from a Massachusetts pharmacy. There have been 268 cases of fungal meningitis, stroke believed to be caused by fungal meningitis or central nervous system infections tied to the tainted drugs. Three other patients who received shots in their joints, such as hips, knees, shoulders or elbows, have developed infections as well, according to latest figures from the Centers for Disease Control and Prevention. Nearly 14,000 patients may have received the fungus-contaminated shots distributed by the New England Compounding Pharmacy in Framingham, Mass., since May. All products from the pharmacy have been recalled. On Thursday, federal health officials confirmed that they found the fungus Exserohilum rostratum in unopened medication vials of one of three lots of methylprednisolone, a steroid, implicated in the infections and deaths. That discovery confirmed the link between the type of fungus in the drugs and that found in most of the patients who became sick after the shots. Officials have also confirmed the mold Aspergillus in one infected patient. 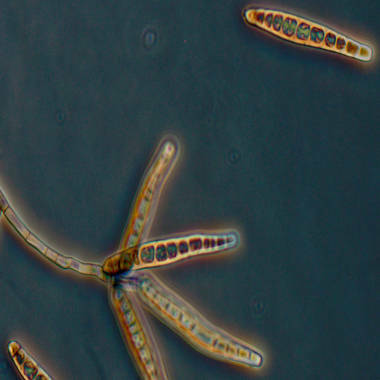 Another was found to be infected with the fungus Cladosporium. All of the fungi are present in the environment, but rarely cause meningitis. A second pharmacy connected to the NECC is also being investigated. Ameridose LLC said on Friday that it has agreed to extend a temporary shutdown while state and federal regulators continue an investigation into the company. Ameridose, based in Westborough, Mass., shares some common ownership with NECC. Investigators launched an investigation on Oct. 10. Most patients got the shots to help relieve back pain. The time it takes for an infection to show up in people who got the tainted shots may be up to four weeks, officials said. Patients should be watching for symptoms including fever, headache, stiff neck, nausea and vomiting, sensitivity to light and altered mental status, the Food and Drug Administration said. Symptoms for other infections might include fever, swelling at the injection site, increasing pain, redness, visual changes, discharge from the eye, chest pain or drainage from a surgical site. Anyone who develops these symptoms should seek medical attention.